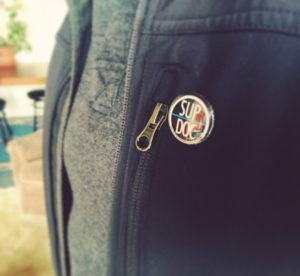 This Sup Doc pin will be all the rage at your next house party! You'll be a hit! Drop some doc info, point to your pin and proclaim I HEARD IT ON SUP DOC. Mic drop. 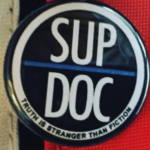 You know you want a Sup Doc PIN! These fashionable pins will be all the rage at your next house party! Wait until one of the party-goers starts going on and on about a documentary they saw and jump right in with info you’ve learned on Sup Doc. People will surely ask you if you’re a documentary historian. You can then calmly frame yourself in a doorway, give a little wink, point to your Sup Doc pin and state “Nope, but I listen to Sup Doc”. Mic drop…just walk away. Don’t be surprised if you’re the hit of the party! 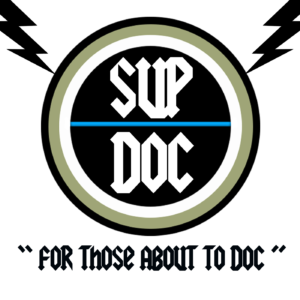 You can pay us VIA PAYPAL…send us an email at supdocpodcast@gmail.com and we’ll give you the deets! Ok? All right! !